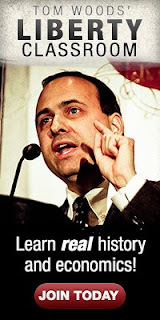 Target Liberty: Has Modernity Made Us Indecent? Most of us think that people should act decently toward each other. But what happens when it is argued that a “decent” society requires people to follow a tribal collectivism premised on altruistic-based redistribution? That is the argument made by Umair Haque, a social critic and advocate of this political tribalism. Haque insists that the tribalism of thousands of years ago was far more ethical and “decent” than modern capitalist society based on an anti-social individualism premised on “what’s in it for me” with no regard for the needs of our fellow human beings. Sharing and caring through the primitive group altruism of placing the needs of the collective over that of the individual of the ancient tribesman of the long-gone past should be our model in the modern era, he says. 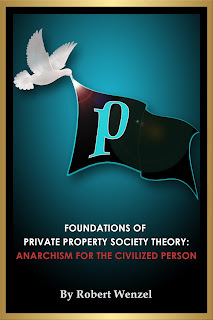 It was individualism, private property, freedom of exchange, and voluntary association that created and provided the incentives and institutions for the individual to want to and be able to see the advantages from his applying his reason and labor to overcome the natural condition of man, that is, a barely subsistence survival. Human beings became liberated from their material and cultural poverty when in more modern times the ideas of a person’s individual right to his life, his liberty and his honestly acquired property to be used as he saw best, became the guiding principle, rather than him being a captive of the collective for which he was expected to work and sacrifice. And, in addition, out of the prosperity of a free society of free men also emerged the spirit and practice of voluntary charity and philanthropy to assist those less fortunate than ourselves. Not out of guilt of not having a right to the fruits of your own labor, but from a sense of benevolence that accompanies the prosperity of a society of liberty.